This week’s first guest post is provided by Elisha from Waiting For Baby Bird. Elisha is sharing her experience of fostering through infertility. Her story is compelling and has driven me to tears. Not just because of the infertility involved, but because of her continuous encouragement and praise to God through all things, good and bad. I hope you enjoy this post! It’s quiet. I don’t hear the sounds of a Disney movie playing in the background, toy horses galloping down the hallway, or the theme song from Frozen being sung over and over and over. And it is because I just tucked our four-year-old foster princess and her four (or was it five?) Minnie Mouse dolls and Mermaid toy into bed for the night. It’s odd really. Not the quietness, but the fact that I am tucking a foster child into bed. I never thought I would be a foster parent. But then again, I never thought I would struggle with infertility nor have Polycystic Ovarian Syndrome (PCOS) listed on my medical file. And even more than that? 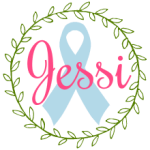 I never thought I would need In Vitro Fertilization (IVF) or that my first treatment cycle would end not only in a celebratory positive pregnancy test, but also a devastating miscarriage. And it’s sometimes hard to comprehend. There are days I go to bed feeling like I have been through the spin cycle of a washing machine as my emotions are all tangled, my thoughts are mixed together, and my body feels beaten and worn down. It’s crazy really…how differently my life looks now than from the one I had planned when I was 10, 15, and even 25 years old. Many of the things I always thought would never happen to me have. And many more that I always thought I would never do I am. But it has been in these “I thought I would never…” and “I can’t believe I am…” experiences that I have learned more about myself, my marriage, my shortcomings, and ultimately my lack of faith and the need to be in control. For the first three years after my diagnosis of infertility, I did everything I could to create a life inside of me. I charted, I timed, and I peed on every expensive ovulation prediction stick I could get my hands on. I took massive amounts of vitamins and injected myself with hormones. I drank glasses upon glasses of okra water (don’t ask) and suffered through a low carb diet. And how could I forget all of the late nights I stayed awake researching articles on how to “cure” PCOS. Or the many afternoons I spent reading every.single.review. on the best type of supplement guaranteed to regulate my cycle, make me ovulate, and give me my miracle baby. It was exhausting. But the very thought of not doing these things and not having full control? It would cause a sudden drop in the pit of my stomach as if the infertility roller coaster ride just went into a free fall. Because if I didn’t do something…if I didn’t work tirelessly to find a solution…then who would? Would even God? Could I give Him control and trust that He would handle my hopes and dreams with the same extra care I was giving them? Could I let go of my agenda, forget about my time frame, and trust Him in the midst of my uncertainty? Could I? The answer was no. Because if I were honest, trusting anyone other than myself felt too risky. Even trusting the One who created the universe, knows the stars by name, and can count the very hairs on my head. But that all changed 19 months ago when our first foster princess stepped her tiny size 7 foot into our front door and nestled her way into our hearts. I remember her smile and thinking about all of the hopes, and dreams, and plans I had for her life. And not just for the time she was to live with me, but also for when she returned home to her mother. But as I quickly learned, and as many foster parents will tell you, you have no control over their hopes or dreams. And you most certainly do not have control over the plans that are made. And it’s painful. Because it’s a forced surrender. But it has been in this unwelcome, forced surrender that I have also had no other choice but to trust God in the midst of the uncertainty. I have had to surrender to Him the hopes I have for her, the dreams I want to become a reality in her life, and the plans I think will get her there. And it’s been hard. But as each passing day, month, and court date goes by, I am seeing Him prove Himself time and time again. Because there hasn’t been one single time in which He hasn’t shown His power in my powerless situation. There hasn’t been one single time in which I was worried and fearful and He didn’t come in and give me peace. There hasn’t been one single time in which I haven’t asked Him to protect her and He hasn’t answered my request. And there hasn’t been one single time throughout this entire foster parenting journey that He hasn’t proven that He is working, He is weaving, and He is making a beautiful story out of what I see as an ugly mess. And friend? 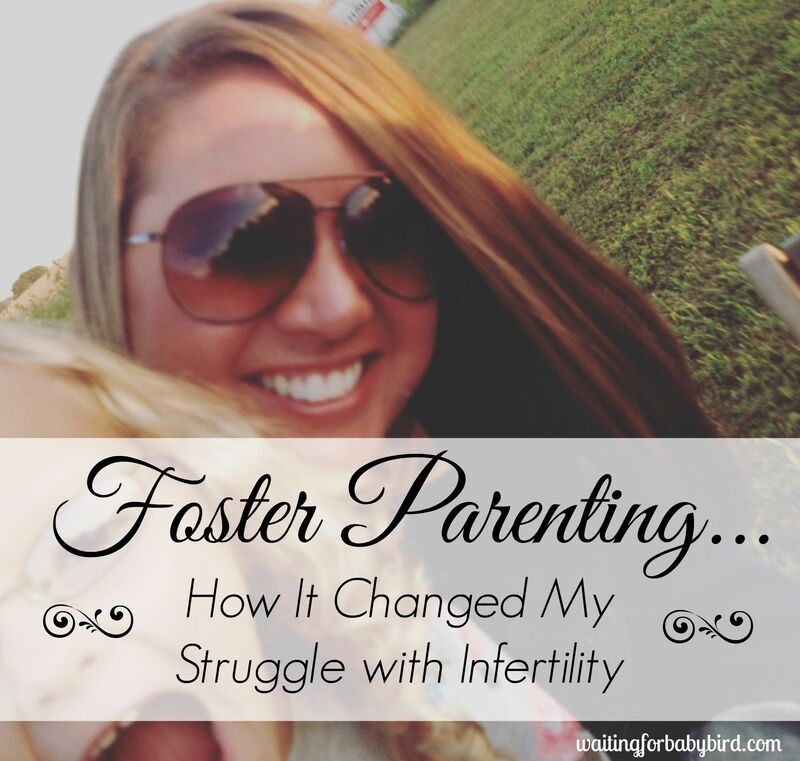 This has changed everything about my struggle with infertility. Absolutely everything. Because He has been able to take this “I thought I would never…” and “I can’t believe I am…” experience of foster parenting to show me that it’s okay to unclench my fists. It’s okay to let go. And it’s not too risky to release to Him my hopes, my dreams, and my plans. Because sometimes the only way He can put His hands on my problems and do something supernatural with them, is when I take my hands off…which although hard (really hard), it’s something I am learning to do. But don’t get me wrong because despite “letting go,” I still long for a baby that has my blue eyes and my husband’s pudgy nose. I still pray every day for my womb to be filled and to hear the precious sounds of a baby cry in my home; but it’s different than before. My actions are no longer based out of fear or consumed with stress and worry. My back doesn’t always feel pressed up against the wall with the sense of urgency to find a solution and to find it quick. And the hopelessness and sense of defeat I felt after each negative pregnancy test doesn’t plague me like it once did before. Because God has proven to me that when we allow Him to work and when we allow Him to weave, He will always be careful and He will always be faithful to make a beautiful story out of even the ugliest of messes. Elisha lives in Southern Illinois with her husband of 9 years, two ornery cats, and one ridiculously adorable foster child who looks like Goldilocks. She is also a proud Jesus follower, PCOS defeater, faith encourager, hope builder, type A organizer, and infertility warrior. 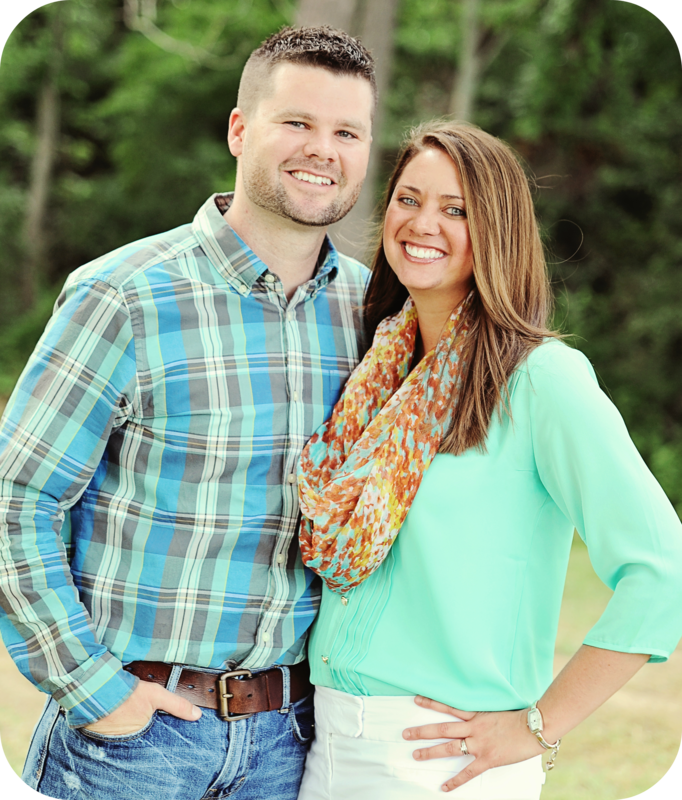 She is also the author of the inspirational infertility blog , “Waiting for Baby Bird.” Her mission in life is to encourage other woman to draw near to the Lord in the midst of life’s hardships and heartaches, rather than away. And as she does that, she believes in being brave and walking in faith that with God all things are possible (Luke 1:37). She would love to get connected with you on a more personal level, so click here to find Waiting for Baby Bird on Facebook. Or come hang out with her on Instagram @waitingforbabybird. Yay ELISHA! Love seeing you on here. I love this. I love your heart to love on Goldilocks. Such sweet words! This is so good! I know what you mean about letting go and giving it all to God -hard- but so freeing to not “have to” control my circumstances. I want so much to let His peace rule in my heart. Thanks for sharing!